Every year, the US Postal Service delivers millions of packages during the holiday season, including an estimated 30 million pieces on December 21 alone. If you’re planning to ship gifts and other goodies to your loved ones this year, it’s important to do it the right way so your packages don’t get damaged or lost amongst the multitudes. To help ensure your presents are delivered intact and on time, take a look at the following dos and don’ts of holiday shipping. Do choose the correct type of cardboard container for your gifts in terms of both size and strength. Use appropriately thicker and sturdier boxes for heavy items, and be sure that the box is large enough that the contents do not cause the sides or ends to bulge. 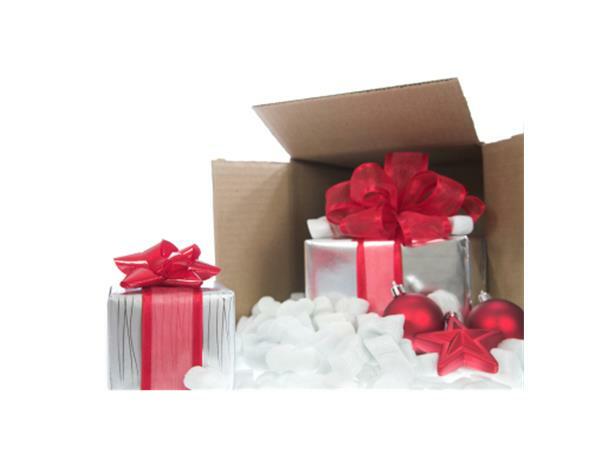 Do use packaging foam to protect fragile gifts during shipment. For example, eggcrate foam provides all-purpose protection for everything from picture frames to fine china, while custom foam packaging is ideal for irregularly shaped items such as remote controlled drones or digital cameras. Do remove batteries from toys, games, and other electronic devices when possible to help prevent the gadget from accidentally turning on during transit. Do shake your cardboard container before taping it up to ensure the contents are tightly packed together in a way that allows for only minimal movement. Fill in any gaps with leftover packing foam or packing peanuts. Do secure your shipping container with heavy-duty packing tape (not cellophane tape) using the “H” method, which consists of applying tape along the middle and ends of the box in the shape of the letter H.
Do call the post office, UPS, or FedEx to schedule package pickup in order to save a trip to the mailing center and avoid standing in inevitable long lines. Don’t reuse a cardboard box or other shipping container with an obvious tear, hole, or severe crease. Even the smallest flaw can reduce the cardboard’s strength by as much as 70%, thereby putting the container at risk of falling apart. Don’t overstuff the box to the point where the top flaps can barely meet when closed. This increases the danger of the box bursting open when handled or stacked in the shipping process. Don’t wait until the last minute to ship Christmas gifts since prices rise significantly after December 20. Send them out as early as possible to lock down standard rates and improve the chances of the packages arriving on time. Don’t wrap the shipping container in wrapping paper or decorate it with bows and ribbons that are likely to get ripped or tangled while en route to the destination. Instead, wrap the individual gifts prior to packing them up. Don’t cover the box with address labels. Just stick one label on the outside and place one more inside the package in case the outer label peels off or becomes illegible.